Como configurar o seu PC de desenvolvimento para realizar debugging de aplicações? 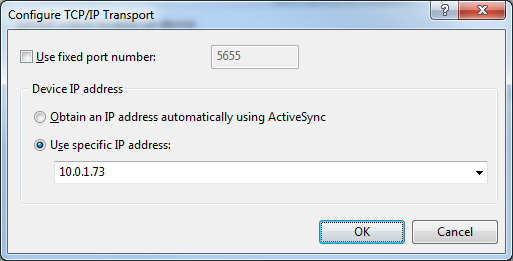 One of the simplest setups in order to carry out application debugging on Colibri System on Modules (SoMs), is to connect the Host PC to the Colibri target via a USB cable (ActiveSync) and Ethernet. 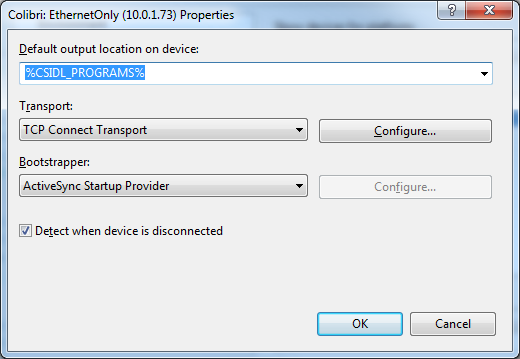 There are instances, however, wherein the USB client port is unavailable, so only Ethernet can be used for debugging. 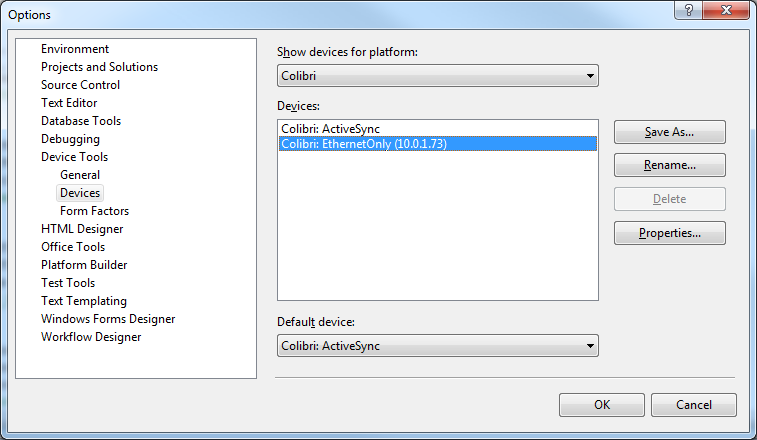 In the default configuration, the Colibri is setup to get its IP address from a DHCP server. So the address can change after a reboot of the target. Give the device a reasonable name, e.g. Optionally, you can change the Default device to the new device. to get to the next dialog. Press OK three times to close all open dialogs. There are several files which need to be copied to the target device manually. Amongst these, are 2 applications which are required to be started manually each time when commencing a debugging session. Insert the storage device into your target Colibri and boot the module. The files will be copied to the Colibri's root folder. to start this service. The command prompt will remain blocked. After you have started CMAccept, you only have 3 minutes to commence the debug session on the VS2008 side. VS2008 will start to communicate with the Colibri. Another dialog will appear and announce a successful connection.